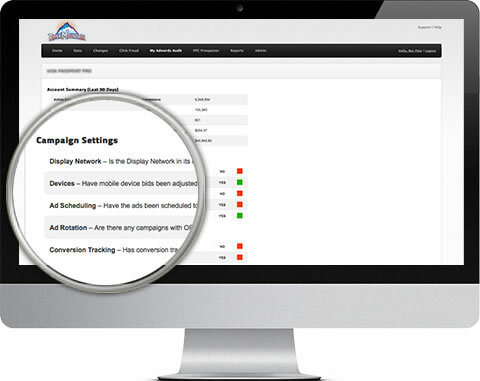 We’ll perform what could be a rather eye-opening audit on your PPC campaign. 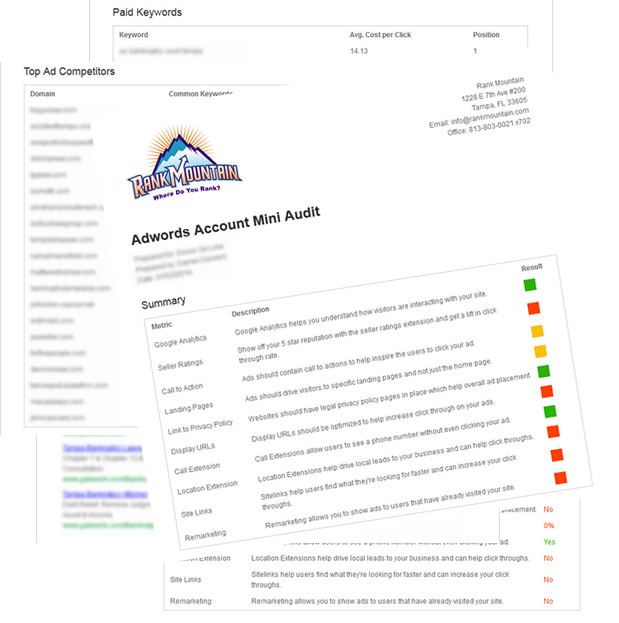 The Mini-Audit looks at various factors that we can see without needing access to your AdWords account. Imagine only being able to see the problems on the outside of a car. We can see low tire pressure, faded paint, broken wiper blades, body damage, broken taillight etc...however to see more pressing issues, we need to go under the hood. Our tools give us “best guess” for some of the metrics. A Full Audit reviews “internal” metrics which require access to the Adwords account. Have an active campaign running which an ad lands on the first page of a specified search result. 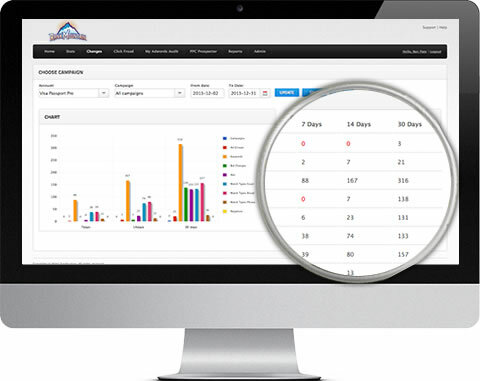 If you are intrigued by your mini-audit, then you’ll love the full-audit. 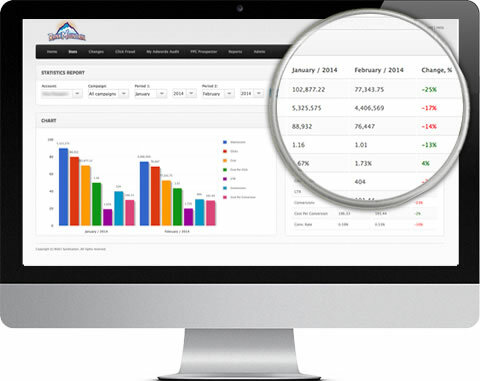 The Full Audit is a comprehensive analysis of the strengths and weaknesses of your account. It is a more accurate reporting of “perfect information”. Know if your account was setup following best practices and instantly realize how much room there is for improvement. A Full-Audit will educate you on the gaps that need to be filled, if best practices are being followed and to learn about the missed opportunities and stop your Ad Spend from hemorrhaging money! 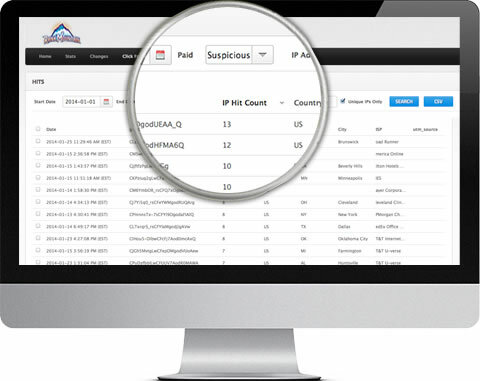 Getting bogged down with confusing granular data that was daunting to digest and assimilate into usable reports? Know who’s clicking your ads! Report to Google and potential get AdWords credit!